PokerStars introduces a lucrative promotion for its best players. WPT Bay 101 Shooting Star Main Event enters Day 3. Check out these stories and more in the Thursday Hit and Run. With promotions and new games like Spinball and Power Up, PokerStars has been catering to the recreational player. 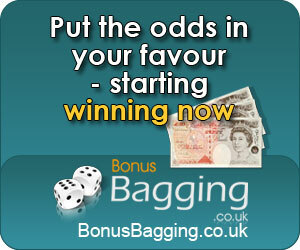 Now they have announced a promotion for April which aims to reward the best. The promotion is caused All Stars, and it’s offering $100,000 in leaderboard prizes in rake free games. All Stars will be held during the month of April with two stake levels: NL200 for “Masters” qualifiers and NL2000 for “All Star” qualifiers. NO RAKE will be taken from this cash game competition. To qualify for the league, players will need to have been fairly profitable at PokerStars over the last 12 months. All Star Level: Players with at least $25k in winnings playing NL500 and up. Eligible players will be contacted before the promotion kicks off in April. PokerStars promises that if Season 1 of All-Stars is a success that they will look into a second season and possible look into expanding formats and inviting a wider group of players. If you aren’t one of the fortunate players to qualify, the games will be open (and encouraged) to railbirds. – WPT Bay 101 Shooting Star is into Day 3 with just 24 of 806 players remaining as of early Thursday evening. Brian Altman has the lead with 1.86 million chips. Ravi Raghavan, Sam Panica, Chino Rheem, David Williams and Mike Sexton are among the notables still in the hunt. Stay tuned to updates from the World Poker Tour website. – William Kassouf discusses rumors circulating after his win at the European High Roller in Prague. – GrinderSchool.com video of the day is Part 3 of “How to Master MTTs” where Fjuanl covers exploitability and how it relates to MTTs. – Multiple Las Vegas poker rooms are preparing to close. What poker rooms are slated to close and is this a sign of the times for poker? The post Hit and Run: PokerStars Introduces Rake Free Cash Game League; WPT Shooting Star Enters Day 3 appeared first on Part Time Poker. (c) Part Time Poker – Read entire story here.